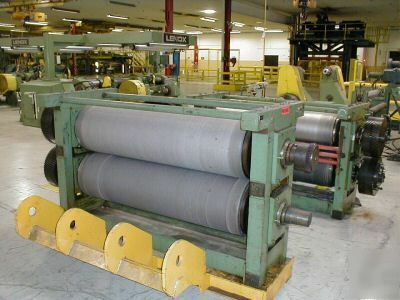 GLOBAL EQUIPMENT & MACHINERY SALES IS A WORLDWIDE SUPPLIER OF QUALITY USED MACHINERY FOR THE PULP & PAPER, AND THE PAPER, FILM & FOIL CONVERTING INDUSTRIES. 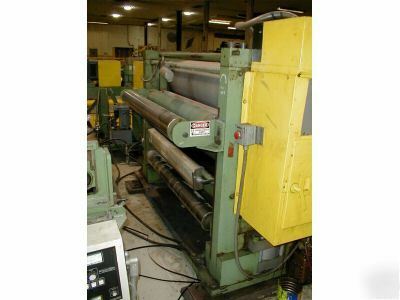 Used 60" wide Inta Roto 2-roll steel to steel heavy duty embosser. Currently Engraved With a Fine Linen Pattern. 16" O.D. embossing rolls with gears and frames. 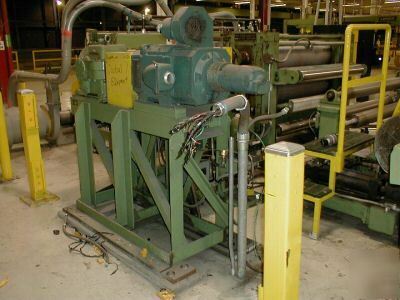 Circuit Pak hydraulic package for 50 ton pressure. Global Equipment & Machinery Sales is your source, whether you're in need of a complete plant or individual machine.